The month of April was a great month for the Homes for Heroes® Foundation and those it serves. After all of the numbers were submitted and added, the foundation was able to provide over $14,690.50 in assistance to those in need. Check out the list below to see who the foundation was able to assist! Tim Williams, a disabled veteran with family of Bowie, MD, received $2,000 to avoid eviction. Doug Macklin, a disabled veteran with family of Wellington, CO, received $2,000 to assist with deposit and first month’s rent. Chelsey Forest, a disabled Vietnam veteran of College Park, GA, received $1,500 to avoid eviction. Albert Monroe, an unemployed veteran of Allenhurst, GA, received $1,320 towards rent and avoiding eviction. Mike Wilson, a disabled veteran with family of LaCrosse, WI, received $1,300 to assist with apartment deposit and first month’s rent. Adam Adams, a homeless veteran of Savannah, GA, received $1,200 to assist with apartment deposit and first month’s rent (HUD VASH program). Michael Peters, a disabled veteran of Sparta, WI, received $1,200 to assist with deposit (HUD VASH program). 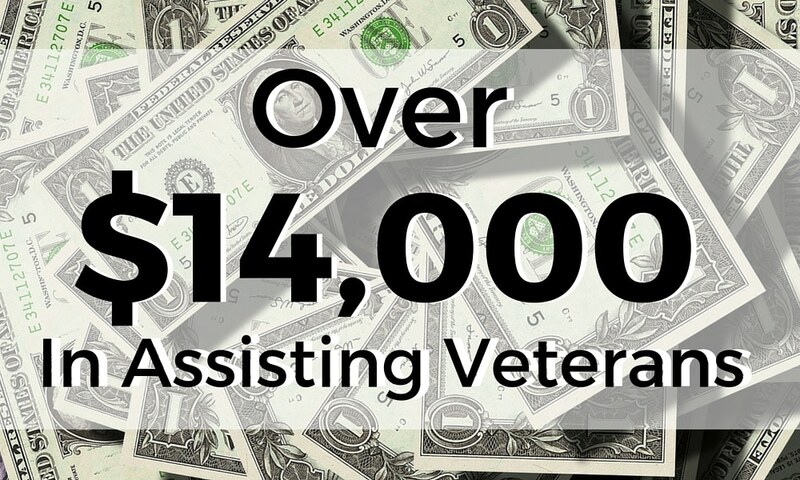 Jim Anderson, an unemployed veteran with family of Spotsylvania, VA received $1,073.50 to assist with water and electrical bills to avoid the utilities being shut off. Milton Gowdy, a disabled veteran with children of Hinesville, GA, received $950 to assist with deposit (HUD VASH program). Brandon Davis, a 100% disabled and homeless veteran of Clermont, FL, received $800 towards movers and moving vehicle. Jeffery Nicoals, a disabled veteran of Hinesville, GA, received $750 towards first month’s rent. Rodney Weiner, a disabled veteran of Madison, WI, received $597 to assist with apartment deposit (HUD VASH program). To find out how you can help those who serve our country and their communities, be sure to visit the Homes for Heroes Foundation today.